Interior Design Meets Wedding — The Lynden Lane Co. Incorporating interior design, furniture and specialty pieces in your wedding aesthetic brings a unique and personal touch while presenting different shapes, fabrics, and textures to your guests. Beautiful decor mixed with a beautiful surrounding are so essential to your wedding style, as they provide your party with a special and lovely atmosphere. Accents such as rugs, tufted couches, speciality dressers and unique tables create an elevated yet relaxed feel for your reception design. Below are some gorgeous interior design pieces that have been brilliantly displayed in wedding receptions, giving us all total inspiration. Bonus: some items that you pick can be repurposed into your home after the event! A tufted couch or chair creates a comfortable arena for your guests to dine. Who wouldn’t want to take a break after dancing on a soft, plush couch? Accenting your reception space with specialty lighting provides a special glow throughout your celebration. 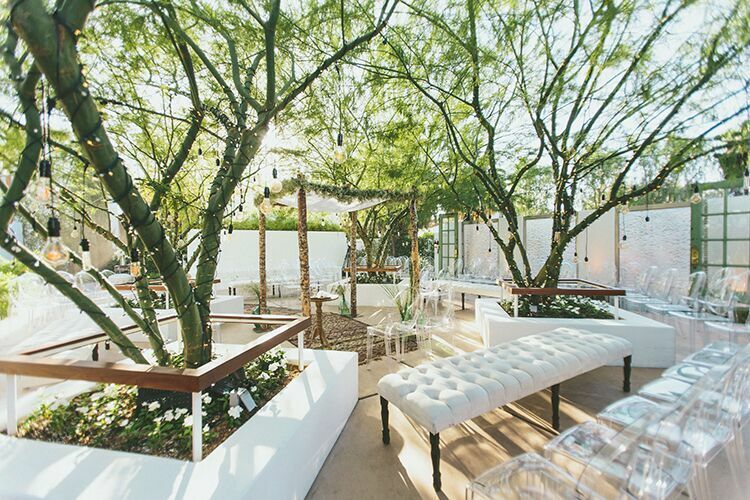 Dress up an outdoor space with the incorporation of rugs throughout the venue. A specialty rug instantly elevates the space its inhabiting.